Not only is the water of the Red River of the North muddy and churned up, but the winding river makes it impossible to see the distance from afar. Veer left, veer right, hug one shore, then the other. 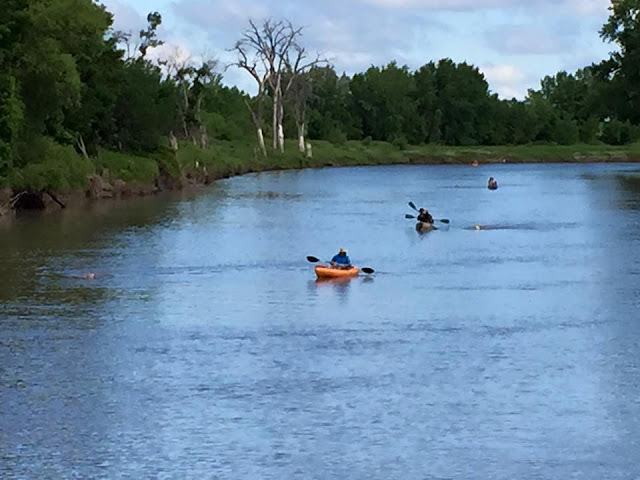 Stroke after stroke, feed after feed, mile after mile, hour after hour, the solo and relay swimmers of the END-WET (Extreme North Dakota Watersports Endurance Test) defined the epitome of endurance athletes. 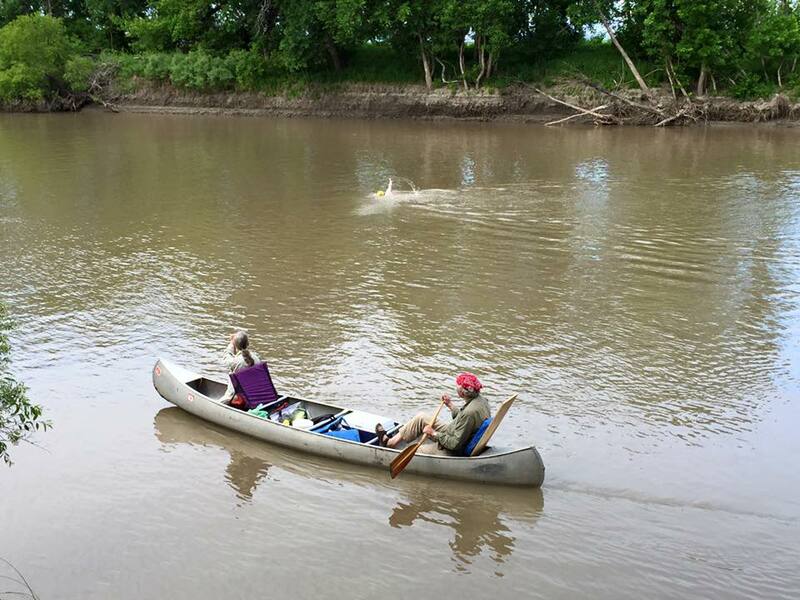 As Andy Magness describes the event, "The END-WET is a 36-mile down-river swim race on the Red River of the North. This baby is the biggest and baddest swim race in all of North America, but still full of hometown hospitality and charm." The participants included veterans of the sport, an ultra-marathon swimming heroine, and a few newcomers to this (57.9 km) distance. At the end, the renowned Sarah Thomas expectedly added another feather to her swim cap with a 9 hour 43 minute victory. Photos courtesy of Julie Thompson. Additional photos by Wes Peck are here.